Vincente de Santa Catarina on the 14th day of December, A.D. 1851". Church of St Joseph was the third and final Church on our Mission Possible tour that we did early in October...... blog posts on the previous two Churches are at the end of this post. 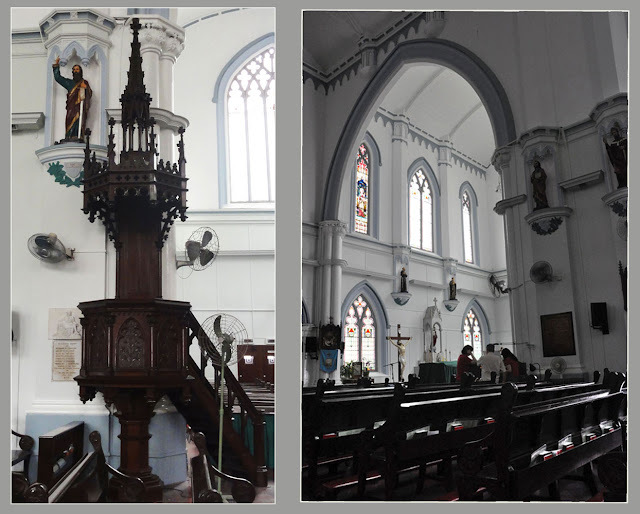 The Church of Saint José was an attractive building in the classical style with a portico supported by four columns. It had a low square tower and bell turret. 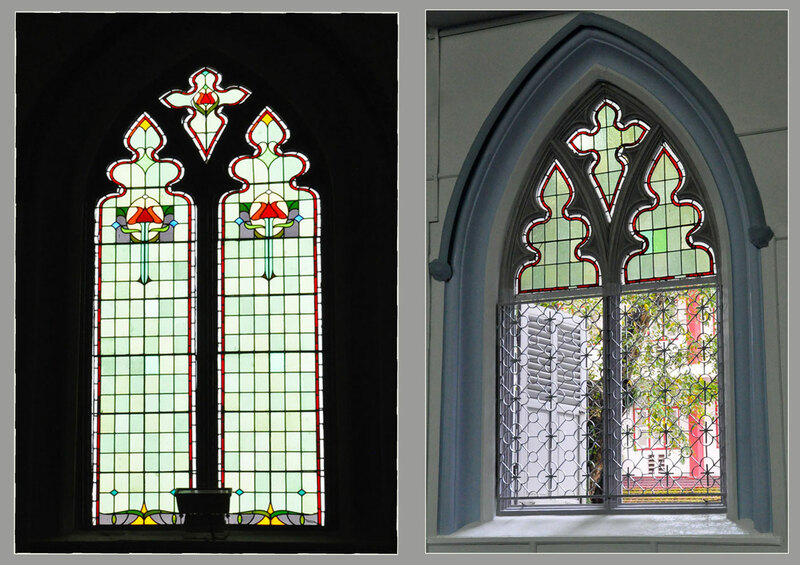 Saint Joseph's Church is an architectural marvel structured in the form of a Latin cross and boasts beautifully crafted stained-glass windows. Another striking feature about this Gothic building is its central octagonal tower, capped by a dome and flanked by two smaller towers. New buildings were added to the Church in 1938, 1954 and 1956. 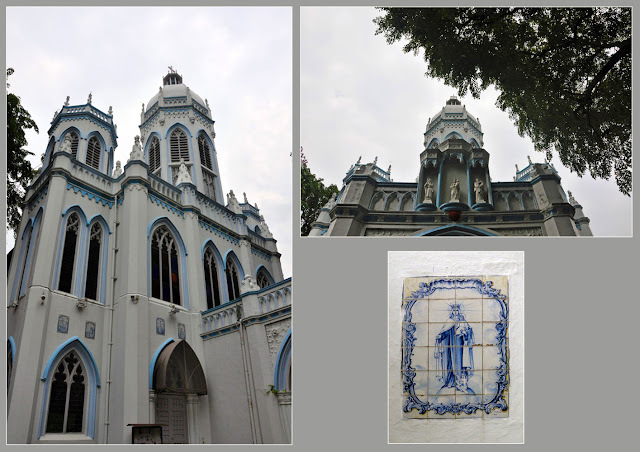 1825 Father Francisco da Silva Pinto e Maia of the Congregation of Missions from Macau arrived in Singapore and Founded the Portuguese mission. 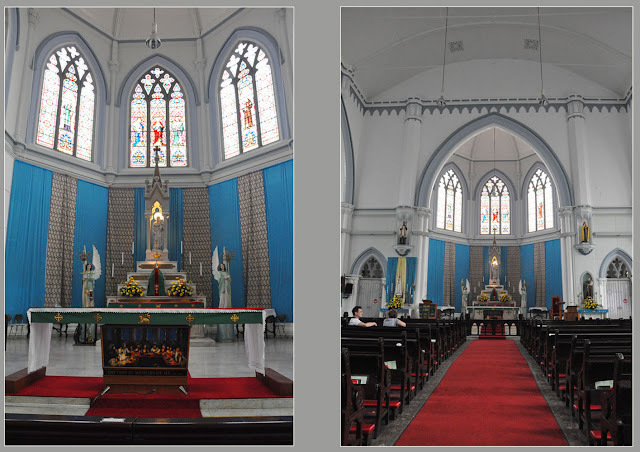 He requested and obtained ecclesiastical jurisdiction from the Archbishop of Goa over the catholics in Singapore. 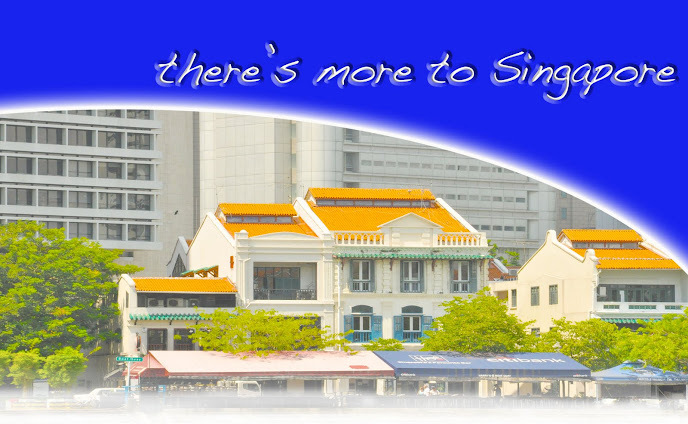 In the same year, he obtained 12 lots of land between Victoria street and Queen street from Samuel George Bonham, Assistant to the Resident of Singapore. Six lots of land were granted gratis to the Mission and six lots were bought by Father Maia. Fabian - the volunteer tour guide from PMB - was the best tour guide we could have had for all three Churches that we toured. His knowledge was amazing and made the tour that much more interesting by sharing with us his personal experiences! Preservation of Monuments Board for putting on these tours for the public to enjoy.